Offering you a complete choice of products which include bunk office project, prefabricated movable project office and prefabricated double storey project office. By focusing on variegated demands of our respected clients spread all over the country, we are offering Bunk Office Project. This bunk office project provided by us is well known among customers owing to its less maintenance & easy portability. We offer you a best bunk office projects that are developed by using top quality of material & modern techniques in accordance with the set norms of industry. Our customer can avail this service from us within a given time frame. 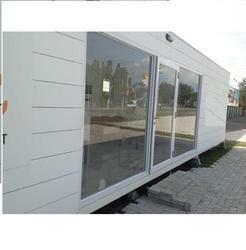 We are reputed enterprises in this industry, offering a wide gamut of Prefabricated Movable Project Office. We provide this office on numerous customized options as per the variegated demand of customers. The project offered by us is well checked on numerous parameters from our side before giving to our customers. Our project is highly reliable & develops with the help of sophisticated techniques and best quality material. 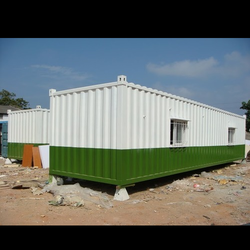 Our rapidly growing organization is offering Prefabricated Double Storey Project Office that is sturdy in design & ensures long lasting durability. The given office project is available from us on numerous customized options as per the needs of our valuable customers. This project is carried out by our experts with the aid of best techniques & material in observance with the set universal norms. 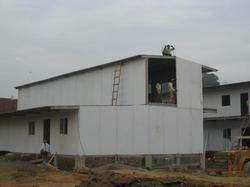 Looking for Prefabricated Offices Projects ?